Which look is your favour­ite? 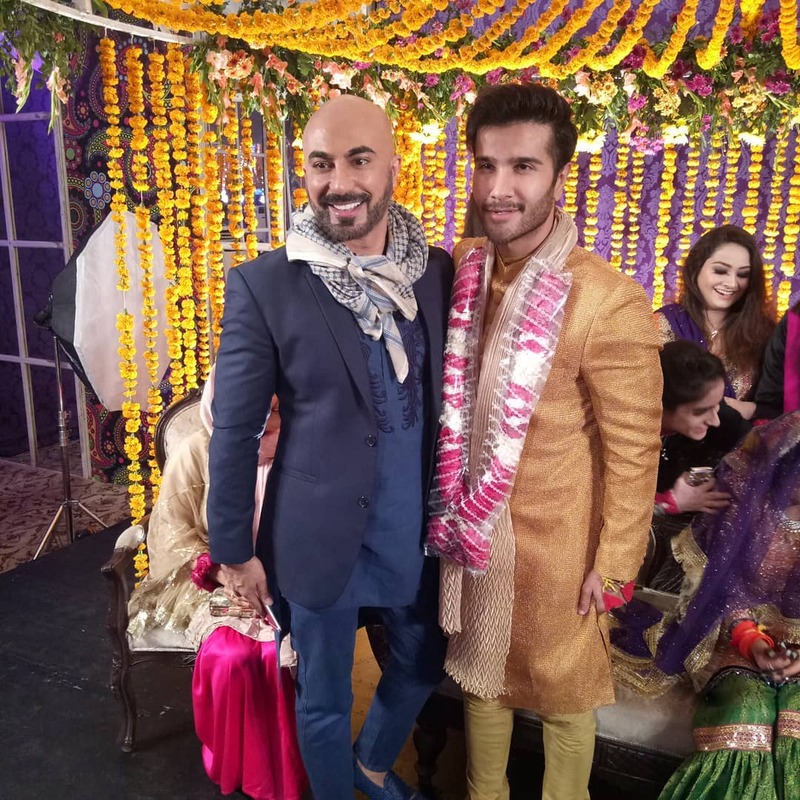 KARACHI: Following actor Feroze Khan and model Saheefa Khattak, former actor Aisha Khan has also taken the plunge and tied the knot. 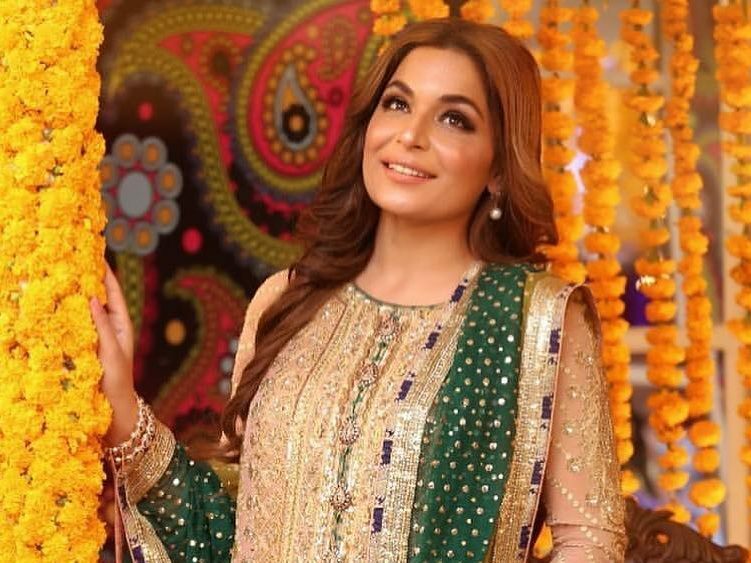 The Mann Mayal star previously took to Instagram to announce her departure from the Pakistani entertainment industry in a heartfelt note that shocked fans and colleagues alike. In another post, she made public that she will be getting hitched very soon, sharing a picture with her fiancé. “My fiancé and I are overwhelmed with all the love and prayers that have poured in thus far,” read the caption. 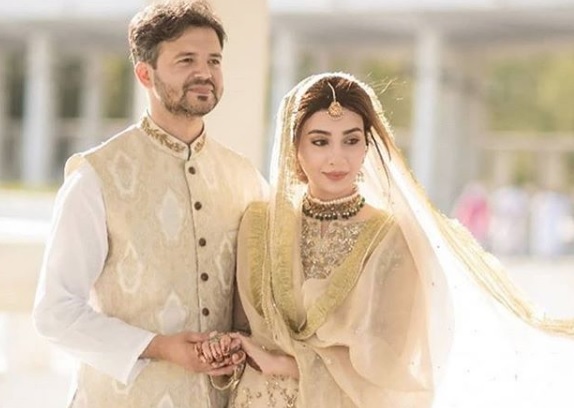 Aisha and Major Uqbah Malik’s five-day wedding celebrations have now come to an end and we just had to talk about Aisha’s looks from all the ceremonies! So, starting with the mayoon, here are all the looks Aisha rocked at her events. 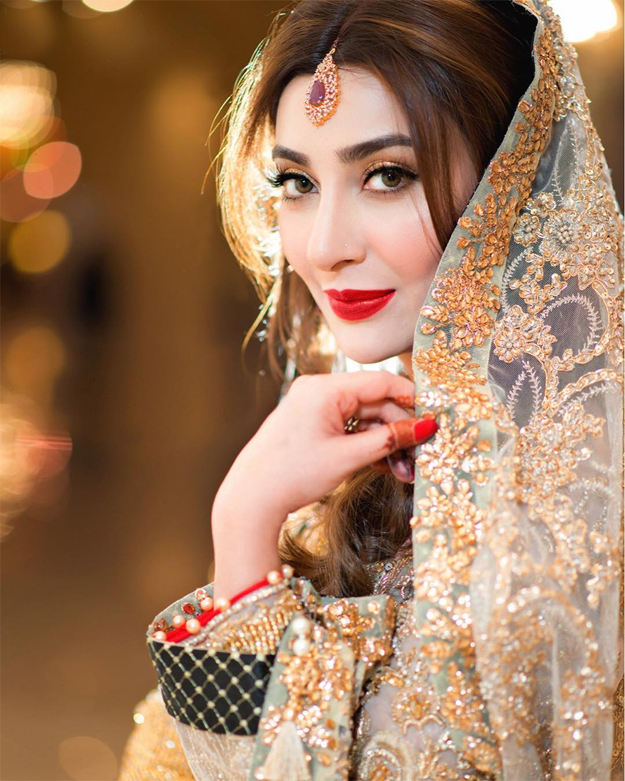 Many brides prefer not to wear any makeup on their mayoon, purely because they usually end up getting haldi on their face. However, although very minimal, Aisha chose to put her face on. Bold brows, shimmered eyes, lightly blushed cheeks and a peach pout was what made for a fresh, bright face. And in true tradition, the star chose to wear flower jewellery, clad in a simple yellow outfit with her hair left natural. For her mehendi, Aisha chose a green and maroon outfit with very light embellishments. The makeup stayed minimal, similar to her mayoon look, with just the addition of smokey, winged out eye makeup. Sporting two necklaces, Aisha’s jewellery was a mixture of silver and gold polki (one of my personal favourites). Also, she wore no earrings… NO EARRINGS. Surprisingly though, it doesn’t look unusual and the nicely teased, quiffed hair more than compensates for it. 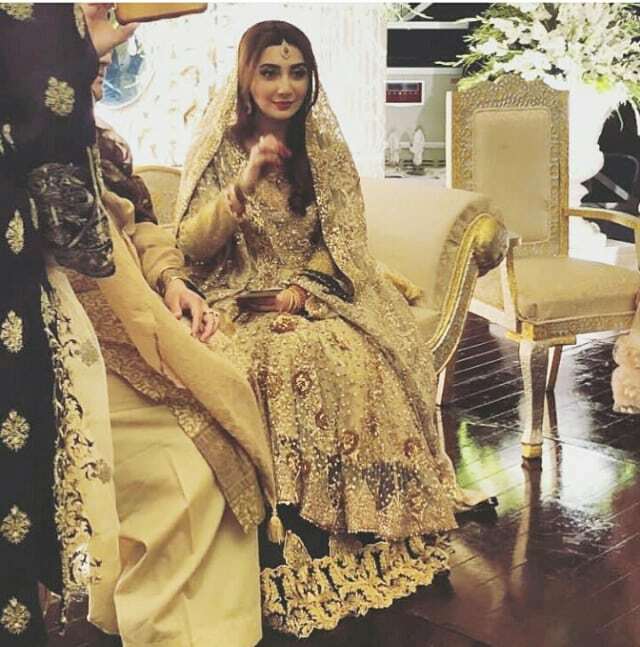 Aisha stunned in a fawn coloured outfit – perfectly appropriate for her daytime nikkah ceromony. The shirt had self-coloured detailing while the dupatta was kept plain with simple muted gold kiran on the borders. For jewellery, she donned a heavy choker with a simple teeka and jhumkas. The makeup, once again, was nominal with just the lipstick changed to more of a brown shade. 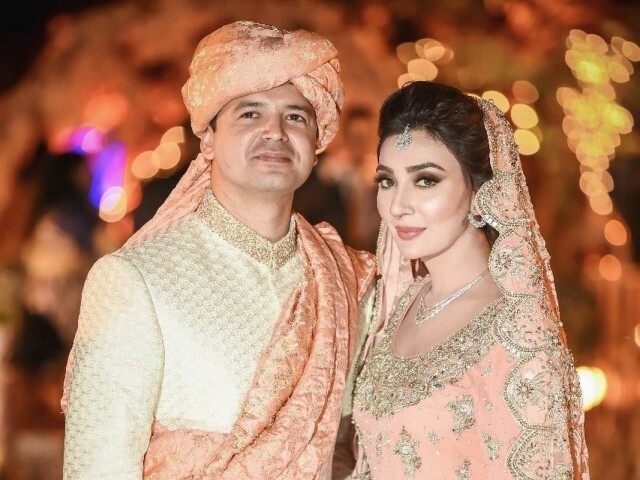 Although the Khuda Mera Bhi Hai actor took the traditional route for her past few events, Aisha ditched the red and went for a heavily adorned peach ensemble for her wedding ceremony instead. 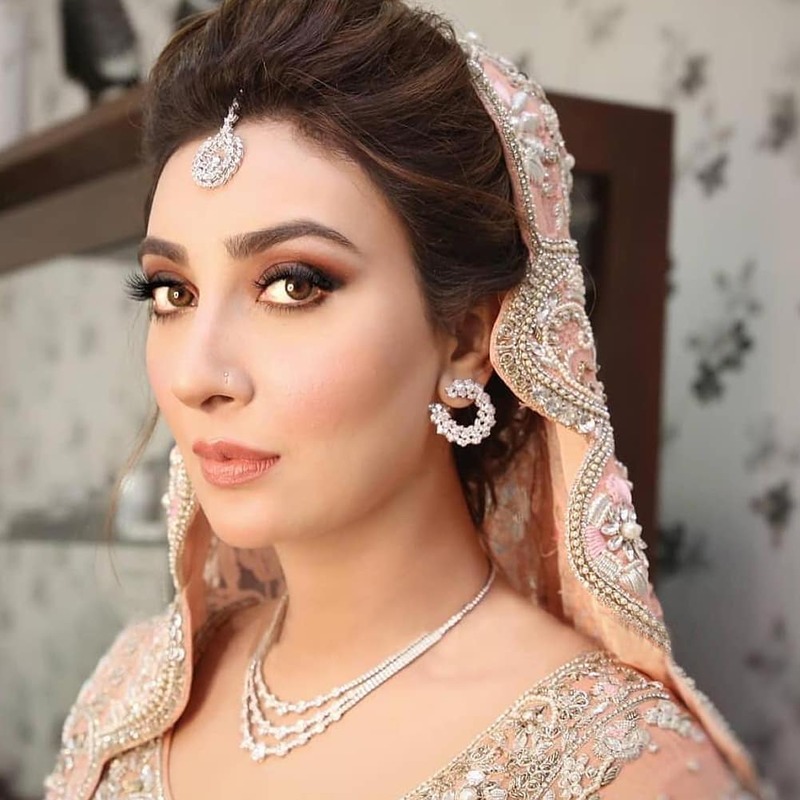 Her makeup was turned up a notch for this event with black smokey eyes, dramatic lashes and a chiselled face with blush and lipstick matching the outfit. For jewellery, on the other hand, Aisha chose diamond studded this time to match the silver details on her attire. 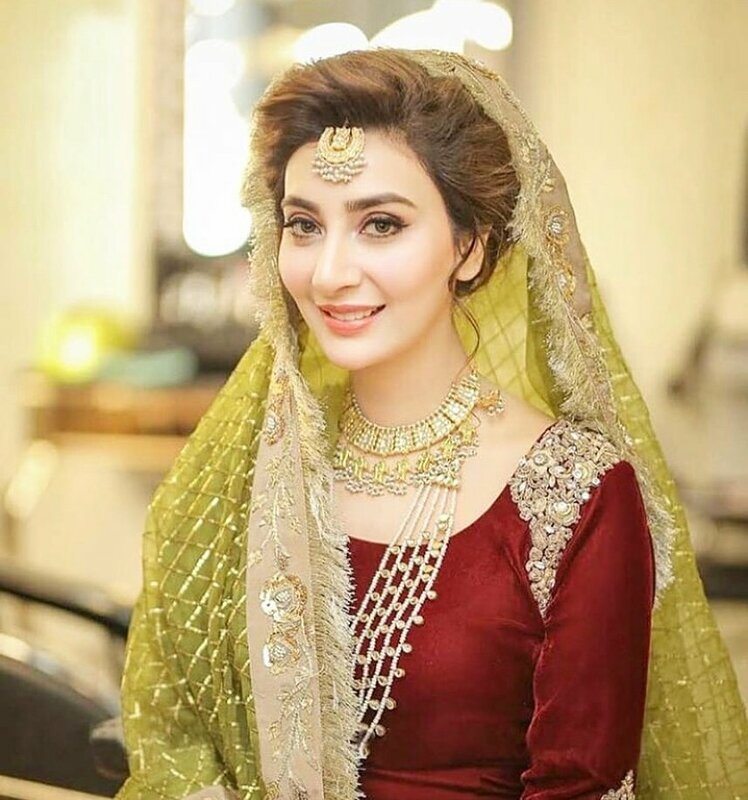 At her Valima, which was the last of the functions, Aisha was dressed in a gold and dark green ensemble, creating a nice contrast. Her dupatta was thoroughly detailed with gota work. She let her hair down for this event (both, literally and figuratively speaking), with a jewelled teeka and matching earrings. Her makeup, however, was much heavier with glittery eyes and bold red lips. The family hosted a four-day wedding celebration filled with stars, glitz and a lot of glamour.